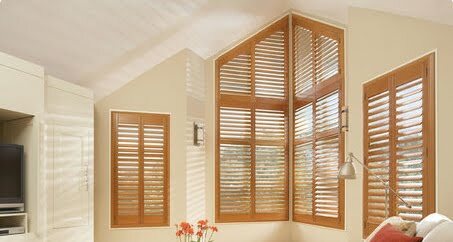 Designer's Best Picks: Hunter Douglas: NewStyle Shutters! Shutters from Hunter Douglas from the NewStyle line with their Front Tilt Bar is Stylish, Versatile, and Revolutionary. This line of shutters is affordable yet has the elegance and quality of those expensive line of shutters you always desired for your home. It helps to give your space a clean, and simple yet stylish look.